Eminent Chemists of Our Time By Benjamin Harrow pages 216-239, published 1920 by Von Nostrand Company at books.google.com. 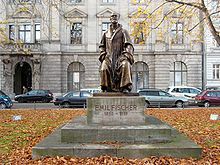 চিসাম, হিউ, সম্পাদক (১৯১১)। "Fischer, Emil"। ব্রিটিশ বিশ্বকোষ (১১তম সংস্করণ)। কেমব্রিজ ইউনিভার্সিটি প্রেস। উদ্ধৃতি টেমপ্লেট ইংরেজি প্যারামিটার ব্যবহার করেছে (link) Short biography. ঔষধের ইতিহাসঃ চিকিৎসা বিজ্ঞানের কালানুক্রম by Fielding Hudson Garrison‎, page 708 refers to Fischer and Merings discovery of the drugs veronal(1904) and proponal(1905), published 1921 by Saunders Company. 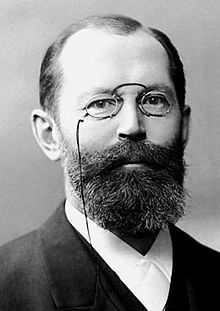 1914 Year Book of the American Pharmaceutical Association, page 438 abstracts Fischer and Strauss's work on Phenol-Glucosides - Synthetic Production from Berlin d.D Chem. Germany, page 45(1912) No. 12.